Mary is the only woman mentioned by name in the Koran as many as 34 times – more than the number of times she is mentioned in the Bible! Many Catholics do not know that Mary is very much loved and highly-regarded by Muslims. She is the only woman mentioned by name in the Koran as many as 34 times – more than the number of times she is mentioned in the Bible! An entire Chapter, entitled "Mariam" or Mary, is dedicated to her, and is described by Muslims as among the most beautiful chapters in the entire Koran. 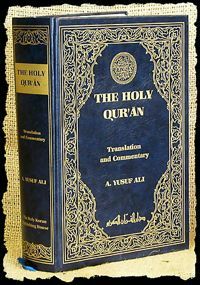 The third chapter in the Koran is named after her father, Imran. The Koran speaks of Mary's presentation in the temple of Jerusalem, of her purification, of the annunciation, of her virginal conception of Jesus and of the birth of her Son, Jesus. "Behold! The angels said: 'O Mary! God hath chosen thee and purified thee - chosen thee above the women of all nations. O Mary! Worship thy Lord devoutly: Prostrate thyself, and bow down (in prayer) with those who bow down". (Koran 3: 42-43). "Lord, I dedicate to Your service that which is in my womb. Accept it from me. You alone hear all and know all. And when she was delivered of the child, she said: 'Lord, I have called her Mary. Protect her and all her descendants from Satan... her Lord graciously accepted her" (Koran 3:35-37). "And the angel said: 'O Mary, Allah has chosen you and purified you. He has chosen you above the women of all peoples. O Mary, be devoted to your Lord." (Koran 3: 42-43). "To the faithful, God has set an example... Mary... who preserved her chastity and into whose womb We breathed of Our spirit; who put her trust in the words of her Lord and His scriptures, and was truly devout" (Koran 66: 11-12). “Is Christ only to be adored? Or is the holy Mother of God rather not to be honoured? This is the woman who crushed the Serpent’s head. Hear us. For your Son denies you nothing”. The above statement was made by Martin Luther – the greatest among the Protestant reformers who, in the 16th century, founded the Protestant movement and led its breakaway from the Catholic Church. It is significant to note that this statement was made by Luther in his last sermon at Wittenberg in January 1546, only a few months before his death – suggesting that Luther’s devotion to the Blessed Virgin was lifelong. More and more Protestant scholars are beginning to publish their findings on the devotion to Mary of the original founders of Protestantism – Martin Luther, John Calvin, and Ulrich Zwingli. Among the three, it was Martin Luther who was most devoted to Mary and whose beliefs were most consistent with Catholic tenets – a far cry from the harsh condemnation of anything “Marian” among many fundamentalist Protestants and Born Again Christians nowadays. Protestants have been reared in the teaching that anything Marian was against Protestantism; anything Marian detracted from the singular worship and adoration of Christ. And yet, there is a sufficient body of proof to support the claim that the Protestant Reformers never intended Protestantism to be “anti-Marian”. 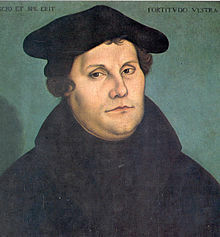 Many Protestant scholars, for example, agree that Martin Luther’s devotion to Mary, as well as his belief in key teachings on Mary, was lifelong. In fact, Martin Luther believed in all of the Marian dogmas – Mary’s Divine Motherhood, her perpetual Virginity, her Assumption into heaven, and even her Immaculate Concepcion. In his book “Against the Roman Papacy: An Institution of the Devil”, published in 1545 (one year before his death), Luther made reference to “… the pure Virgin Mary, who has not sinned and cannot sin for ever more”. Thus, even amid his harsh attacks against the papacy, Luther unto his death never wavered in his pious belief on the Immaculate Conception of Mary. A significant number of prominent Protestant scholars agree that Luther’s belief in the Immaculate Conception was lifelong. Among the top Protestant scholars who agree to this belief include: Arthur Carl Piepkorn, Eric Gritsch, Jaroslav Pelikan, as well as 11 Lutheran scholars on the Lutheran-Catholic Dialogue Committee. The same is true for the Assumption, a dogma of faith declared in the 20th century which, as early as the 16th century, Luther believed to be a “pious and pleasing thought”. Devotion to the Blessed Virgin, therefore, was very much originally an integral part of classical Protestantism. In fact, Lutheran churches retained Marian statues and images, and even offered limited devotions to Mary (such as the Ave Maria and the Magnificat), for almost 100 years after Luther’s death. Lutheran teaching promoted the Virgin as an example and model of Christian virtues. 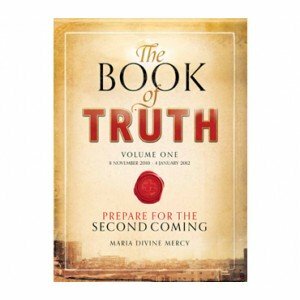 Rediscovery of these “hidden facts” about the early Marian devotion and spirituality of the founding Protestant fathers is perhaps the reason for the recent boom in Protestant publications calling on Protestants to rediscover Mary. One Protestant scholar even went so far as to say that maybe, it is time for Protestants to “go home”. Perhaps, the day may never come when the various religions will break down all dogmatic barriers and unite. Fundamental disagreements in key teachings will perhaps never be overcome. For example, Catholics will never compromise their belief in the Divinity of Jesus Christ, while Muslims will never elevate Jesus’ status beyond His currently accepted position as a great “prophet” of God. And yet, there may be a common denominator across all religions that may be the basis of a long-term dialogue that will perhaps lead, one day, to a stronger sense of unity among various religions beyond that which we experience today – the Blessed Mother, or perhaps more appropriately, the Lady of All Nations. Muslims hold her in high esteem and declare her as the highest attainment of human spirituality. Protestants are increasingly beginning to realize her place in Protestantism. 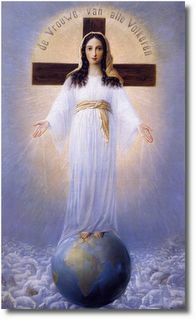 There are even numerous reports of members of non-monotheistic religions such as Buddhism who are increasingly looking up to her, as evidenced by reported visits of Buddhists to the shrine of Our Lady in Lourdes. 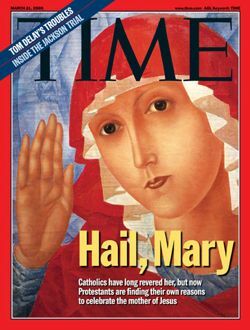 In interreligious ecumenical conferences, Mary is increasingly the starting point of the dialogue. Mary breaks through the barriers of dogmatic differences, as light breaks through the deepest and darkest of shadows. She is a sign of unity – her image as mother unites as, not divides us. Indeed, no matter what the religion, denomination, or sect, everyone will find it easy to accept Mary as the best Mother in all history – the most pious, the most God-fearing, the strongest, the most faithful. Luther once said: “The veneration of Mary is inscribed in the very depths of the human heart”. The meaning of Luther’s words are clear: In the very depths of every human heart, no matter what the religion, race or nationality, is inscribed the natural longing and natural love for the Mother of All Nations who, one day, with the help of our prayers, will gather all her children under her fold.